Eggs are good for health because they are high in protein. But there are stale eggs in market which is harmful for the health. 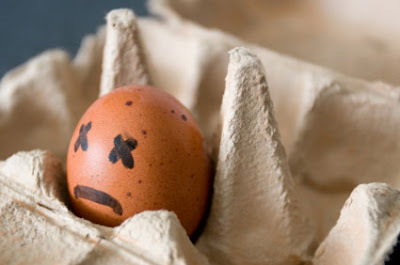 You may have food poisoning due to stale eggs and other illness. Diarrhea: You may have diarrhea or vomiting due to intake of stale eggs. These symptoms remain for 10-15 hours. Skin: You may get rashes, itch or sensation problem due to intake of stale and expired egg. Salmonellosis: You will have Salmonellosis problem due to stale eggs. It is one type of bacteria which is very harmful for the health. Listeriosis: It is a one type of bacteria which is known as listeria. Usually it is found in expired eggs. It creates infection and many serious diseases in the body. Headache: You may have stomach pain, fever and joint pain due to intake of stale eggs. You may also have headache.